RCP are project managing the land clearance and remediation in the Port Hills region of Christchurch, following the earthquake in 2011. 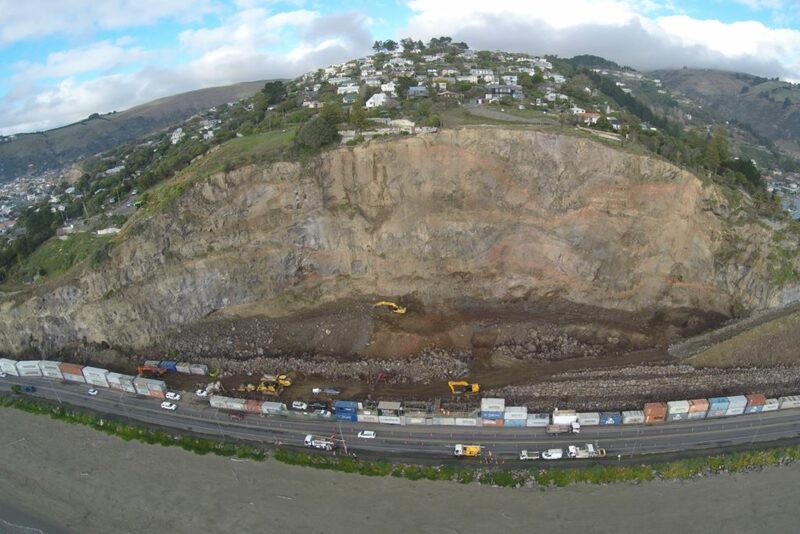 An important part of the clearance works is removal of the landslide at Deans Head along with construction of a 450m long, 9m high, rockfall mitigation bund in Shag Rock Reserve to protect users of a crucial road corridor connecting Sumner to Christchurch. 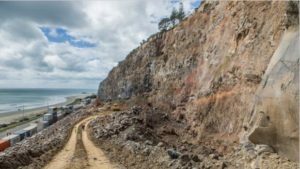 Along this route, locals are used to the familiar site of stacked shipping containers which line the road protecting users from rocks falling from the 85m high Shag Rock Reserve cliff. Following completion of the works the containers are on track to be removed this summer, with the installation of a fence planned to keep the site secure. World leading technology has played an important part in the clearance works with the use of lasers to enable early warnings to teams where the rock fall is about to happen, remote controlled diggers provide safe clearance of the exposed areas, and the use of drones has captured aerial images to compile 3D models which are used for rock fall analysis. These 3D images have been incorporated into augmented realities which allow geotechnical experts to safely plan activities to stabilise the surrounding area. For media coverage of the works, click here.